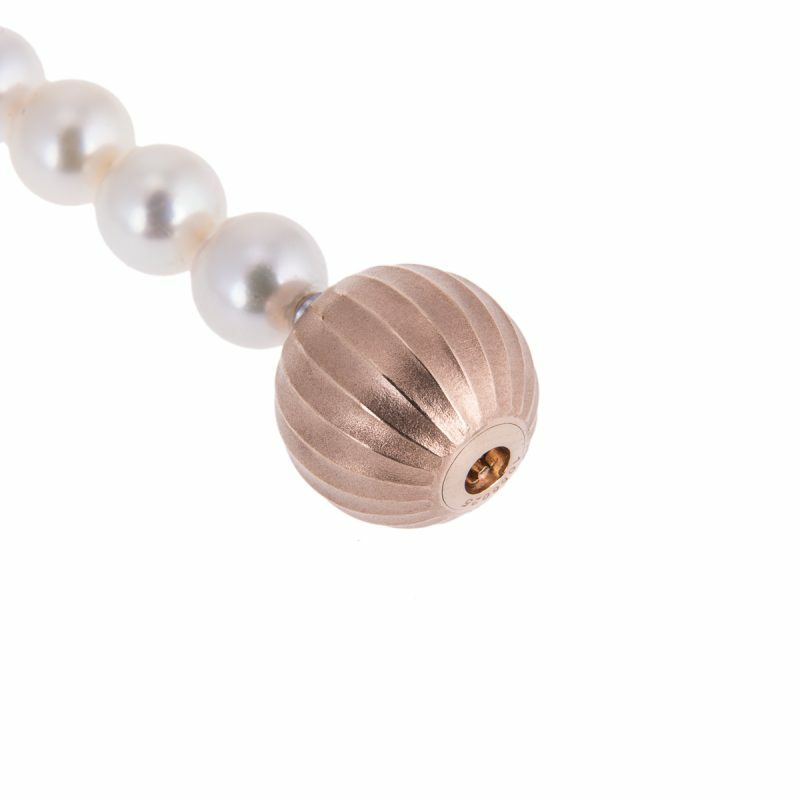 18ct rose gold satin, ‘Fish Bone’ textured 17mm ball catch set with rows of brilliant cut diamonds. 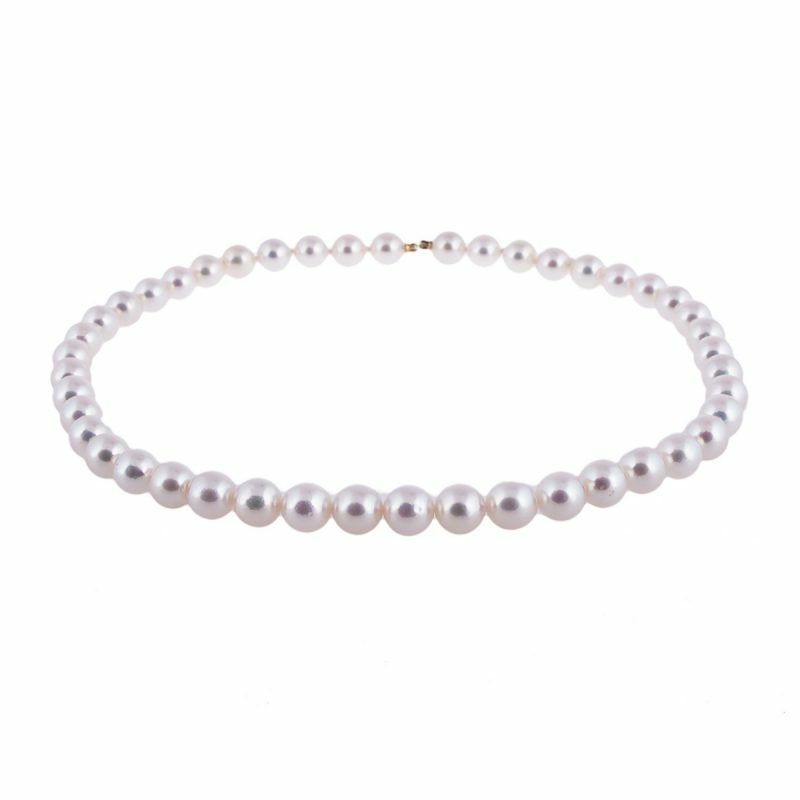 This clever piece of jewellery can be worn on any of Hancocks pearl necklets. 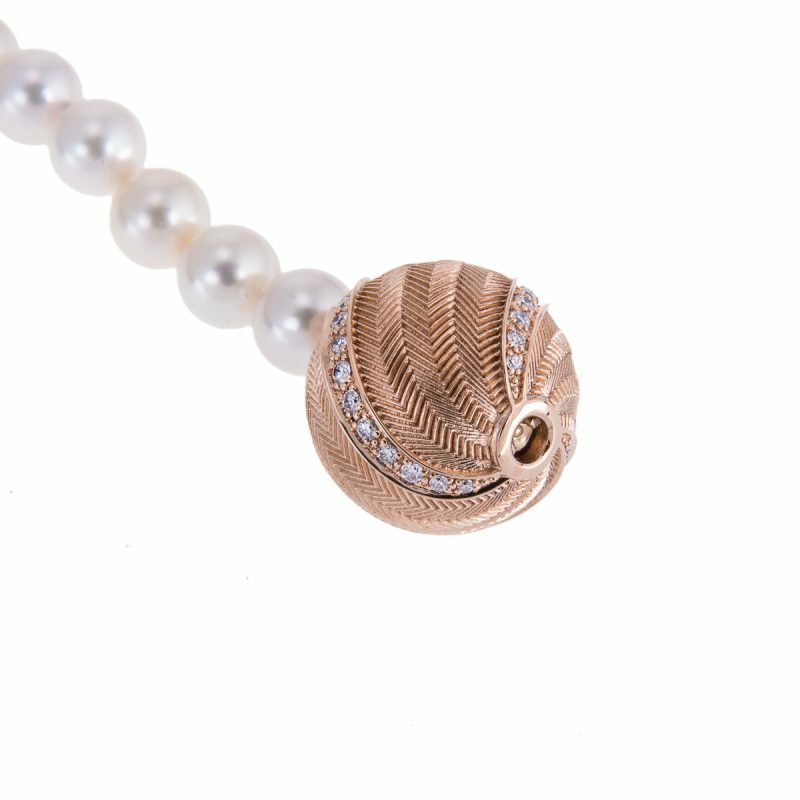 Priced here as a catch only. The Original! 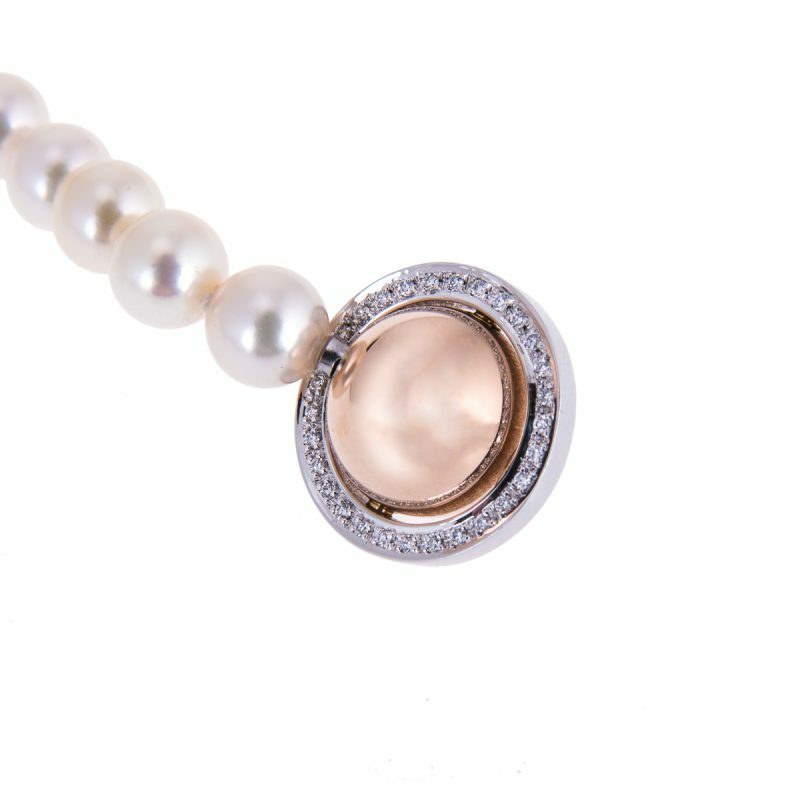 Nearly invisible Jorg Heinz’s clasp is designed with various possibilities to interchange the clasps and necklaces, the wearer can alter her look steadily, adapting her personal style for any kind of fashion or any occasion.